Elements of water, air and light harmonize in this architectural masterpiece on the Gables Waterway. 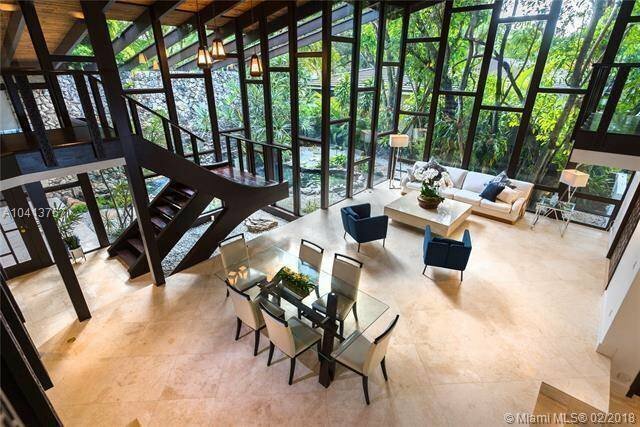 Soaring ceilings and windows encase the heart of the home with vistas of an interior courtyard with waterfall and pond. An Amazing open terrace with new edge-less pool meets the expansive views on 110 feet of waterfront living. Open new kitchen and great room, Formal Living and Dining Room, Library, Media Room, 5 bedrooms, 5.5. updated baths, incredible closet space throughout the house, marble and wood floors throughout, laundry room, two car garage. Perfect home for entertaining in style and elegance. Jeannie Montes de Oca, P.A.